An unsung hero is defined as being a person who makes a substantial-yet-unrecognized contribution, or in other words; a person whose bravery is unknown or unacknowledged. Many of JJC’s unsung heroes are tucked away into the delicate nightfall of the midnight hours. The term given to these nocturnal beings are the nightshift workers of the school. For these employees, their shifts usually start somewhere between 10-12 p.m. and go on until 7 a.m.
Dispatcher Timi Paul had nothing but good things to say when asked how she felt about working the nightshift. Along with just enjoying the job, Paul also finds it to be distinctive. “It’s kind of a different world,” said Paul. A different world indeed. On a typical nightshift, not much goes on, but when it does, it is almost always a serious occurrence. During the course of one particular night shift, there was a bust and an arrest after two individuals were caught stealing gas from the JJC fuel pumps as well as being in possession of tools to aid in the theft. Ironically, another group of individuals were later arrested for the same crime. Being proactive is a key component to working the night shift along with being a very experienced individual. 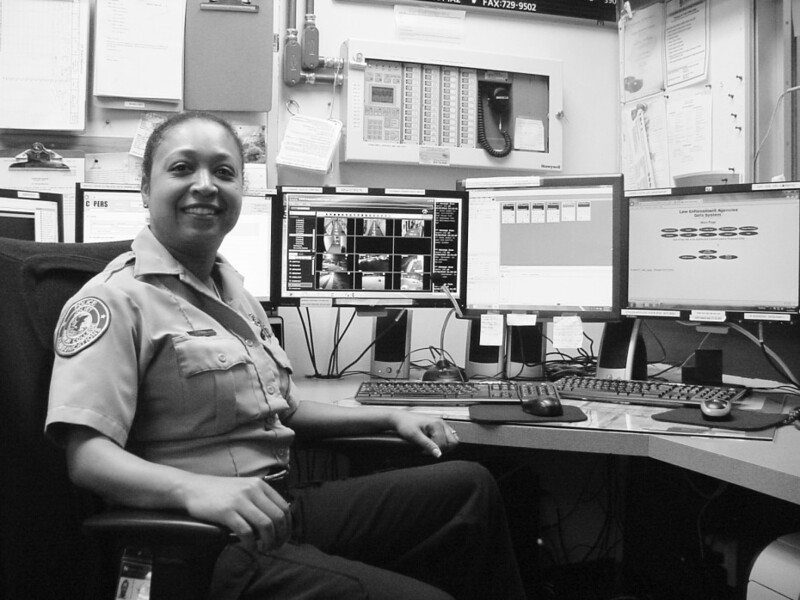 Timi Paul has been in law enforcement for 23 years and began her career in Houston, Texas, where she found working as a 9-1-1 dispatcher exciting. While dispatchers deal with the public, there is another line of workers in law enforcement who also deal with the public – in a more direct way of course. Officer Stirn is one of the officers that work the nightshift at JJC and just happens to love every minute of it. Starsky and Hutch was a cop drama back in the 1970s centered around two police officers that took down criminals. The show inspired several law enforcement officials during its run and Stirn was no exception. Officer Stirn’s 17-year career began when he was 32 years old. Since he put on the uniform, Stirn has been working on the nightshift, stating convenience as the main reason for it. “I’m actually quite uncomfortable on other shifts,” Stirn said. During his long tenure at JJC, Stirn has been enjoying his nightly shifts and has compiled great stories from it. In addition to being present for the gas bust, Stirn was also right in the middle of a fight that ensued in the Centennial Commons apartments some years ago. Adrenaline seems to plague any law enforcement official’s life, no matter the shift that they work. However, working on the night shift has proved to be rewarding in the eyes of many – even with very little recognition.